The primary objective of Udawatta’s research is to quantify environmental benefits of agroforestry. Currently, he is conducting research on influences of agroforestry, grass buffer, and other conservation practices on water and soil quality. In addressing this issue he is examining how trees and grasses change surface and subsurface water quality by reducing runoff, nutrients and sediment when integrated in rowcrop agriculture and grazing management. Changes in soil physical properties, soil water dynamics, and competition for resources, root length density, nutrient accumulation, and microclimate are evaluated to examine soil and water benefits of these practices. Soil carbon sequestration and prairie restoration are some of the areas in which he has conducted research. Recently, he has used X-ray computed tomography to quantify soil porosity, distribution of pores, pore connectivity, and tortuosity as influenced by agroforestry, cover crops, and conservation practices. Cercioglu, M., S.H. Anderson, R.P. Udawatta, and S.I. Haruna. 2018. Effects of cover crop and biofuel crop management on computed tomography-measured pore parameters. Geoderma. 319:80-88. Alagele, S.M., S.H. Anderson, R.P. Udawatta, and S. Jose. 2018. Agroforestry, grass, biomass crop, and row-crop management effects on soil water dynamics for claypan landscapes. Pp 212-216 In N. Ferreiro-Dominguez and M.R. Mosquera-Losada (Eds.) Agroforestry as Sustainable Landuse, 4th European Agroforestry Conference, 28-30 May 2018. Nijmegen, The Netherlands. Udawatta, R.P. 2018. Agroforestry practices for water quality and quantity benefits. Pp 269-273. In N. Ferreiro-Dominguez and M.R. Mosquera-Losada (Eds.) Agroforestry as Sustainable Landuse 4th European Agroforestry Conference, Agroforestry as Sustainable Land Use. 28-30 May 2018. Nijmegen, The Netherlands. Senaviratne, G.M.M.A., C. Baffaut, J.A. Lory, R.P. Udawatta, N.O. Nelson, J.R. Williams, and S.H. Anderson. 2018. Improved APEX model simulation of buffer water quality benefits at field scale. Trans American Society of Agricultural and Biological Engineers 61:603-616. Baffaut, C., N.O. Nelson, J.A. Lory, G.M.M.M.A. Senaviratne, A. Bhandari, R.P. Udawatta, D. W. Sweeney, M.J. Helmers, M. Van Liew, A.P. Mallarino, and C.S. Wortmann. 2017. Multisite evaluation of APEX for water quality: 1. Best professional judgement parameterization. Journal of Environmental Quality. 46:1323-1331. Nash, P., K.A. Nelson, P.P. Motavalli, and R.P. Udawatta. 2017. Improved water management of a poorly-drained, floodplain soil and the impact on forage production and nitrate concentration. J. Soil and Water Conservation 72:640-649. Nelson, N.O, Baffaut, J.A. Lory, G.M.M.M.A. 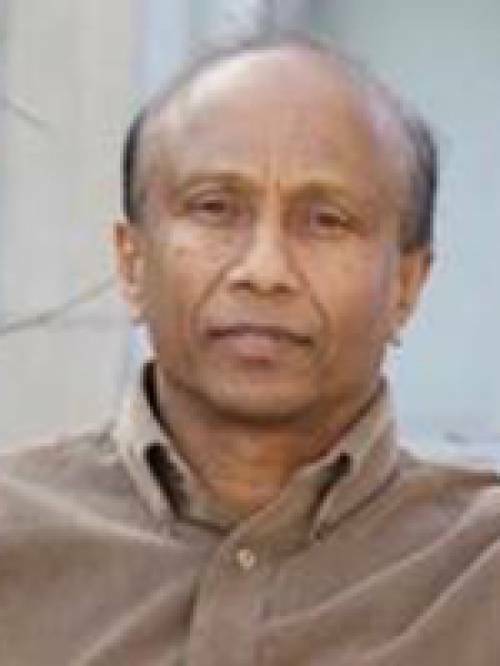 Senaviratne, A. Bhandari, R.P. Udawatta, D. W. Sweeney, M.J. Helmers, M. Van Liew, A P. Mallarino, and C.S. Wortmann. 2017. Multi-site evaluation of APEX for water quality: II Regional parameterization. Journal of Environmental Quality. 46:1349-1356..
Senaviratne, G.M.M.M.A., C. Baffaut, J.A. Lory, R.P. Udawatta, N.O. Nelson, J.R. Williams, S.H. Anderson,. 2017. Improved APEX model simulation of buffer water quality benefits at field scale. American Society of Agricultural Biological Engineers 61:603-616. Weerasekera, C.S., R.P. Udawatta, C.J. Gantzer, R.J. Kremer. S. Jose, and K.S. Veum. 2017. Effects of cover crops on soil quality: selected chemical and biological parameters. Communications in Soil Science and Plant Analysis. 48:2074-2082. Udawatta, R.P., C.J. Gantzer, and S. Jose. 2017. Agroforestry practices and soil ecosystem services. Pp 305-334. InM. Al-Kaisi and B. Lowery (Eds.) Soil Health and Intensification of Agroecosytems. Elsevier AP, USA. Dosskey, M.G., J. Brandle, G. Bentrup, A.C. Bell, S. Brantly, A. Chambers, C. Elevitch, M. Gold, J. Griffin, K. Havens, S. Jose, T. Sauer, R. Udawatta, and D. Zamora. 2017. Chapter 2. Reducing threats and enhancing resiliency. In: Schoeneberger, Michele M.; Bentrup, G.; Patel-Weynand, Toral, (eds). Agroforestry: enhancing resiliency in U.S. agricultural landscapes under changing conditions. Gen. Tech. Rep. WO-96. Washington, DC: U.S. Department of Agriculture, Forest Service, Washington Office: 7-42. Udawatta, R.P., C.J. Gantzer, S.H. Anderson, and S. Assouline. 2016. Synchrotron microtomographic quantification of geometrical soil pore characteristics affected by compaction. SOIL 2:211-220. Chandrasoma, J.M., R.P. Udawatta, S.H. Anderson, A.L. Thompson, and M.A. Abney. 2016. Soil hydraulic properties as influenced by prairie restoration. Geoderma. 283:48-56. Svoma, B.M., N.I. Fox, Q. Pallardy, and R.P. Udawatta. 2016. Evapotranspiration differences between agroforestry and grass buffer systems. Agricultural Water Management. 176:214-221. Udawatta, R.P., C.J. Gantzer, T.M. Reinbott, R.L. Wright, and R.A. Pierce II. 2016. Yield differences influenced by distance from riparian buffers and CRP. Agronomy Journal 108:647-655. Sahin, H., S.H. Anderson, and R.P. Udawatta. 2016. Water infiltration and soil water content in claypan soils influenced by agroforestry and grass buffers compared to row crop management. Agroforestry Systems 90:839-860. Weerasekara, C., R.P. Udawatta, S. Jose, R.J. Kremer, and C. Weerasekara. 2016. Soil quality differences in a row-crop watershed with agroforestry and grass buffers. Agroforestry Systems 90:829-838. Rajper, A.M., R.P. Udawatta, R.J. Kremer, C-Ho Lin, and S. Jose. 2016. Assessing the role of probiotics on soil microbial biomass, communities structure and enzyme activity. Agroforestry Systems 90:811-827.